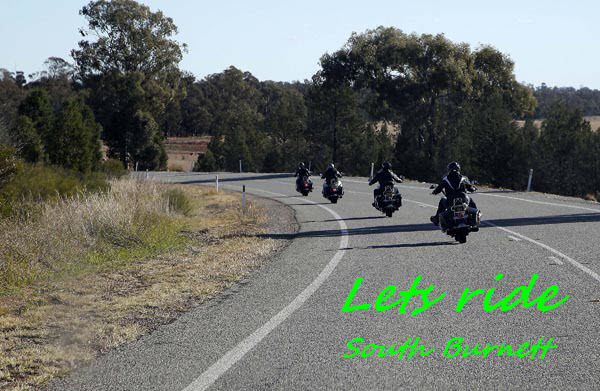 So this weekend was the Bunya Run 14 with the guys from Easyriders Social Motorcycle Club from Ipswich. To start off with, we meet up at the Shell servo at Nudgee and after introductions and some food and coffee we got going. 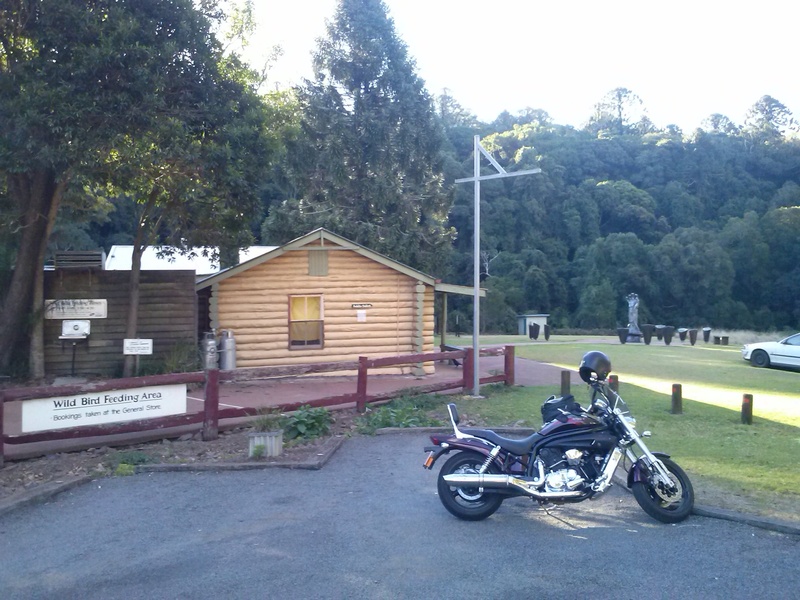 To start with it was a simple 7 minute ride down the road to the Indian Motorcycle Museum of Australia. But with the cutting edge technology from Harley Davidson, it took us almost half an hour due to some serious wrong directions from the GPS. We then hit the road and headed to Kilcoy for a drink and fuel stop. The BP in Kilcoy is on the corner of the highway on the western side and has a good range of treats, drinks and food for all as well as all the fuels (regular, 95 and 98). We also had a quick drink stop at the Stanley Hotel where the staff are always happy to see motorcycle enthusiasts come in. Next was the trip to Cooyar and with some very good roads and a few good twisties it was a great ride. The Blackbutt range is now completed so the corners are almost perfect. The only road works we encountered were between Yarraman and the top of the Cooyar range. Good road, just been resealed just no markings so the speed limit has been reduced over I think about 5 kilometers. Once we reached the top of the Cooyar range I was surprised that there was not one vehicle on the entire downhill run so was able to give the bottom of the pegs a bit of a grinding. By time everyone caught up we were in Cooyar. The Cooyar Hotel put on a sausage sizzle for us at $2 per sausage and was cooked by time we arrived. I did give them a ring from Kilcoy so they were expecting us. You can see my public review in the tab marked “public review”. Next was the run up the Bunya Mountains. Besides the road being a little rough between Cooyar and the turn off to the top (3 km’s short of the Bun Pub) it was a great run. Most of the guys (and girl) had a great time negotiating the twisties. Up the top we stopped at the lookout for some quick pics and then onto the Bunyas Bistro. Again see my review in the “Public Reviews” tab. The final legs of the day where fast approaching as were the twisties on the Kingaroy side of the Mountains. This section would have to be close to my favorite piece of road in the South Burnett. We headed into Kingaroy and stopped at the peanut van so the guys could grab some nuts and then headed to the Cecil Hotel in Wonai which is where we stayed the night. Beers where drank into the night and the hospitality was great.You can also see my public review in the same place as the others. Sunday morning and a few took off early and missed breakfast. Once on the road we headed to Murgon and then on to Nanango. The road was so much better than the last time I traveled it with the exception of some road works in the middle. From Nanango, the guys headed back to Ipswich and I headed home. A great weekend and a great ride. If anyone is wishing to do this run or something similar, I am more than happy to give my maps and contact details for the various shops, servos and pubs/bistros. Just Pm me through this site.